New $0.55/2 Nature's Own Bread! 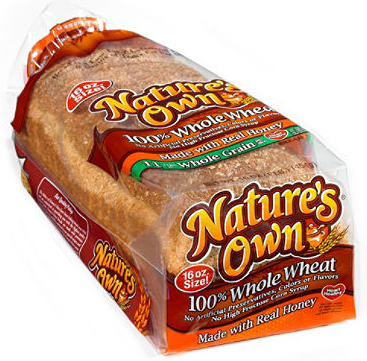 $0.55 Off TWO Packages of Nature’s Own Bread or Buns Printable Coupon - use zip code 43420. Nature's Own Bread often goes on sale for $2.50 at Price Chopper so this is a good one to print and hold for a sale!